The National Fire Protection Association has been publishing NFPA 70E Standard for Electrical Safety Requirements for Employee Workplaces since 1979. This safety standard has been expanded and is now in widespread use throughout the world. NFPA 70E is applicable to any workplace and is intended for use by employers, employees, and OSHA. This course focuses on the history and application of NFPA 70E, changes included in the 2018 edition, and how they affect thermographers. This material is intended for all thermographers performing infrared inspections of energized electrical equipment. 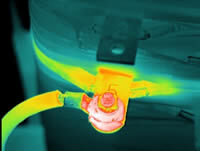 Course is designed for in-house and contract thermographers as well as managers of infrared inspection programs.